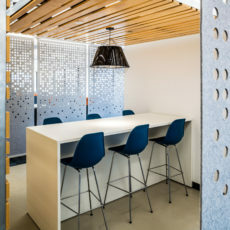 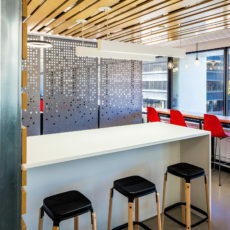 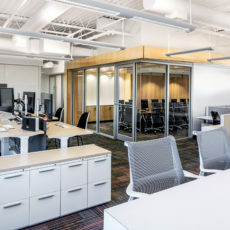 Description: Full turn-key DIRTT solution for all areas of the headquarters. 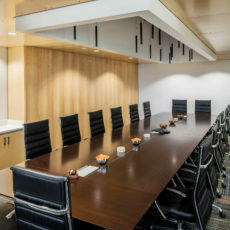 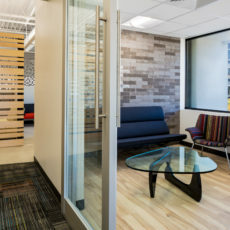 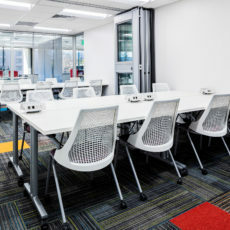 This includes executive areas, private offices, open areas, and conference rooms. 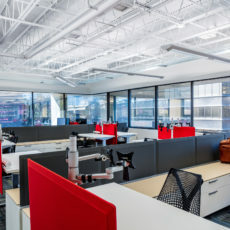 This application gives full flexibility to any changes required in the future to a growing company supporting a diverse workforce demographic. 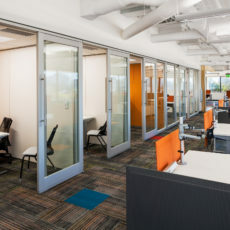 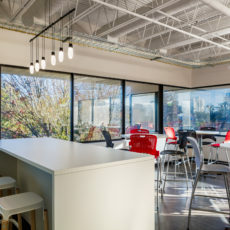 Solutions: DIRTT glass fronts, back painted glass demising walls, card reader hardware, sliding barn and pivot doors, modular electrical. 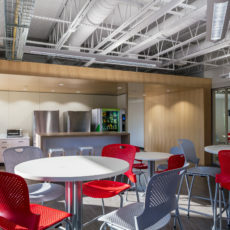 Herman Miller Furniture.